The Japan Update “Weekly Winners” were picked up after the 2 pm deadline on Monday. 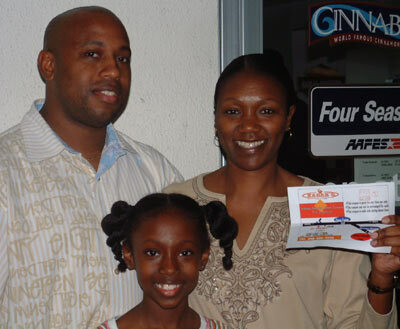 Jacquelyn Ellis won a \5,000 dinner coupon to restaurant Kabab. She moved to Okinawa from North Carolina and has lived here 15 months. “I like it here very much,” she says. She lives in Okinawa city with her family and teaches English to locals. 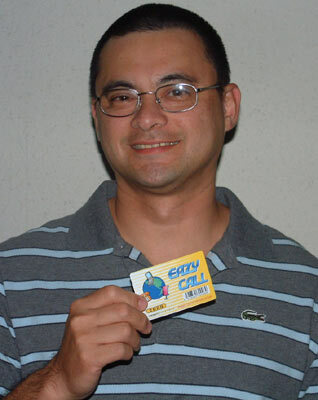 Navy Chief Petty Officer John Fassoth won ¥4,000 worth of free telephone calls courtesy of Eazy Call. The Philippine native has lived on Okinawa since 2002. During his days off he enjoys driving around with his family admiring beautiful scenery of the island.